Which books would you like to see in today's high school Literature classroom? I did attend high school in Austria and contemporary English Literature clearly wasn't part of the curriculum. I have chosen a similar approach to my tgif post. Love your choices. Need to read some of them. Great picks! Particularly Dreamland (although it is a very sad book) because it touches on a difficult issues, and The Lonely Hearts Club because it shows that girls can stick together and help each other out. I've not read any of the other books on your list, but I need to! The Hunger Games is the first book I would pick. I can't see that being left out. Divergent is a good choice too! I haven't read a few of the others, including The Scorpio Races, but I've heard endless good things about that book. I always thought that the YA books that are available now seem awfully heavy for young readers ... though, I remember reading The Grapes of Wrath in high school and it was so boring. I really wish the school system would spice up the curriculum! Actually, I don't even recall doing a lot of reading in high school ... I wish there was more focus on reading lots of books. Maybe then I would've been more of a reader during that period of my life. 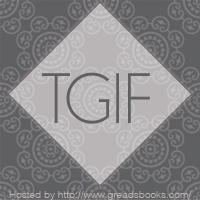 Wintergirls is a great pick, as is Divergent! I like your list. Hunger Games, hmmmm, not sure about kids hurting other kids though. I'm checking out Wintergirls!!! Great list! My USA schooling experience sounds a lot like yours. We never read any contemporary literature, mostly classics and award winners from long ago. That's actually the reason I began to hate reading as a teen. I could never relate to anything, and some of the books were very upsetting to me. I think I would have enjoyed reading more if I could have read the books you mentioned! Wintergirls for sure. LHA does such a good job taking an issue book and making it sincere and relatable and totally unputdownable. I have Eon just sitting on my shelf, waiting for me. One day! Great picks! High school's should definitely introduce these titles to students. SO MANY BOOKS! Of the ones that I have read: I couldn't agree more! 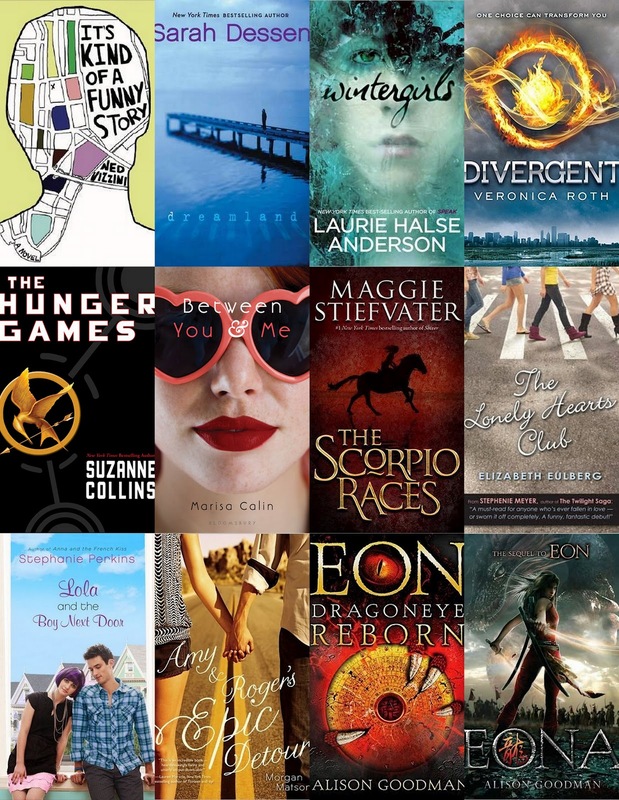 It's Kind Of A Funny Story, Dreamland, Divergent, The Hunger Games, The Lonely Hears Club, Lola and The Boy Next Door, and Amy & Roger's Epic Detour; all of these titles are so great for so many different reasons and I can't help but agree that teens of many varying backgrounds and lifestyles can learn a lot from each one.